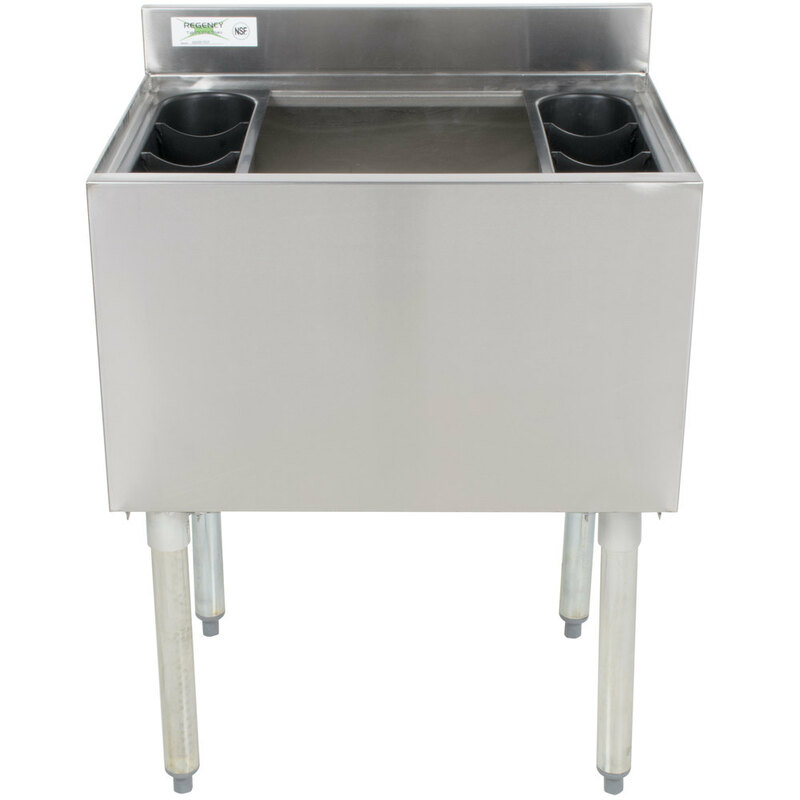 Keep ice right where you need it, when you need it with this Regency 18" x 24" 77 lb. ice bin. 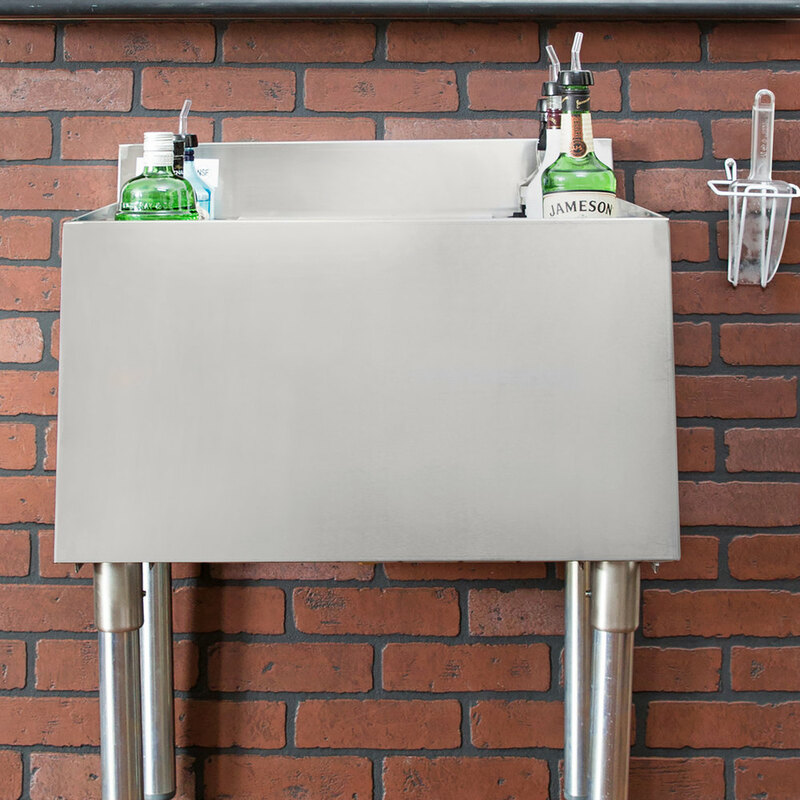 Its compact size makes it perfect for use at your bar, pub, club, or restaurant. 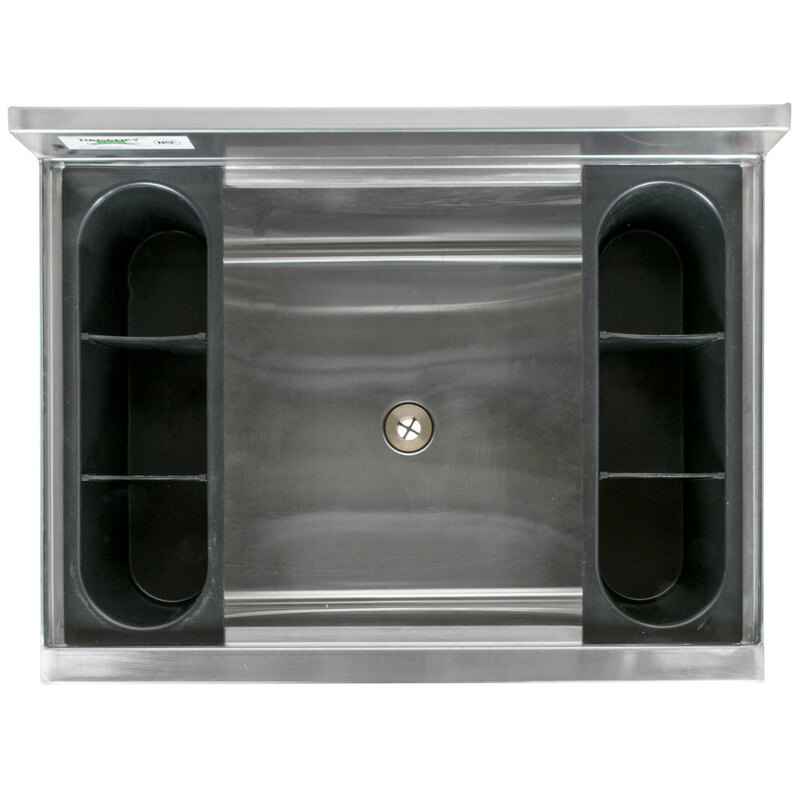 Featuring a 20-gauge type 304 stainless steel design, it is extremely durable and easy to clean. 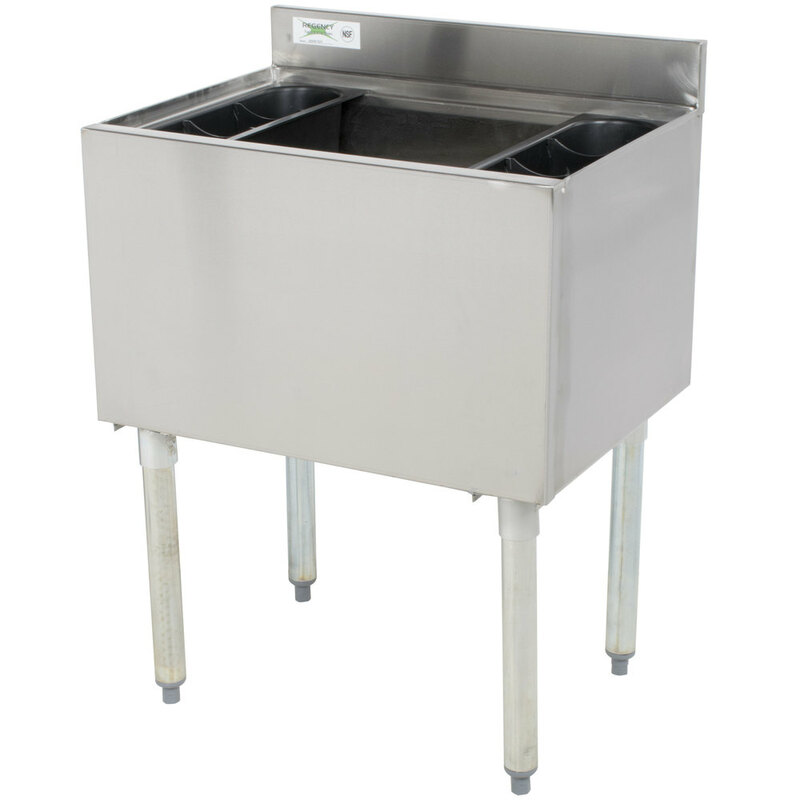 It rests atop galvanized steel legs and adjustable plastic bullet feet for ultimate stability. 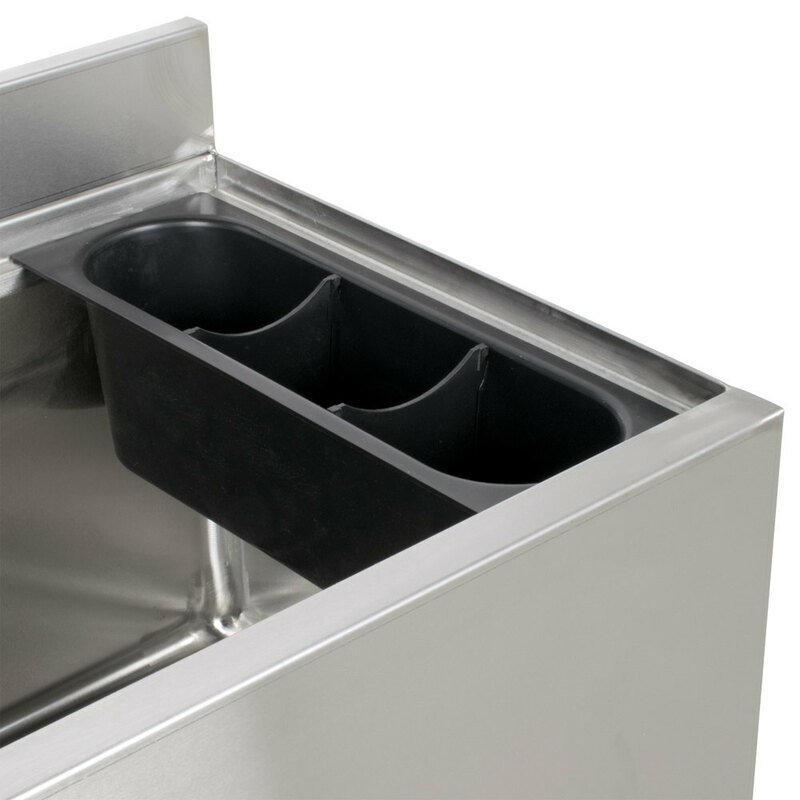 To keep your bar protected from potential water damage, this ice bin is built with a 3" backsplash. The poly foam insulation helps keep this ice bin's contents cool, saving you money by wasting less ice. 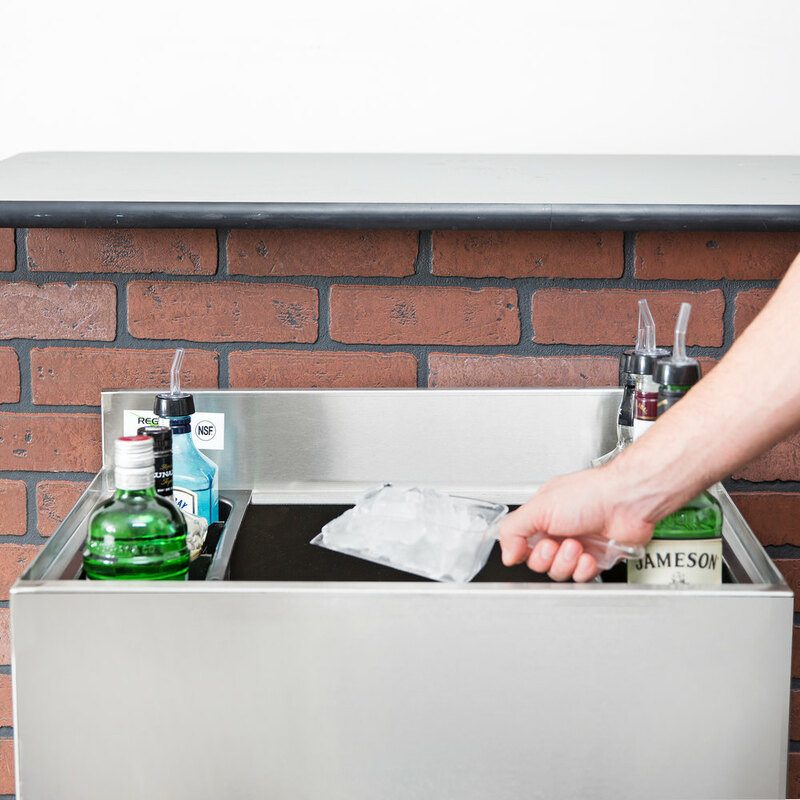 As an added bonus, it includes two plastic bottle holders with removable dividers to keep your drinks or mixers nice and cold throughout your busy shifts.